In 2008, Richard Susskind, the noted author of books predicting upcoming changes in the legal profession, wrote the "End of Lawyers: Rethinking the Nature of Legal Services." It was a fascinating warning about the need for lawyers to adapt to emerging technologies that are affecting the delivery of legal services. In 2008, Richard Susskind, the noted author of books predicting upcoming changes in the legal profession, wrote the “End of Lawyers: Rethinking the Nature of Legal Services.” It was a fascinating warning about the need for lawyers to adapt to emerging technologies that are affecting the delivery of legal services. In an earlier unrelated book written in 2005, titled “The Singularity is Near: When Humans Transcend Biology,” inventor and futurist Ray Kurzweil predicted the eventual merger of humans and machines into a super-intelligent computer-based species. While the theories of these technological prophets are controversial, there is no doubt that some aspects of their predictions are already being realized. 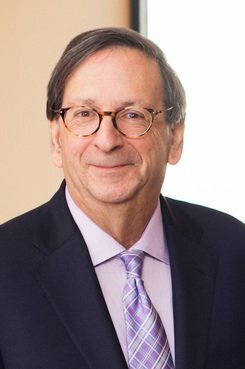 The practice of law is changing because of technology that is advancing geometrically, and it is indeed foreseeable that computer power will one day exceed the processing power of the human mind. Although I do not know whether all of the grand predictions of Susskind and Kurzweil will come true, I am certain that lawyers who fail to embrace new technologies run the risk of obsolescence and, even, malpractice. What does a 34-year-old South African attorney-activist have to teach the leader of one of the world's largest law firms? A report by professional services firm BDO USA indicated that in-house counsel are making it a priority to leverage technology and are considering changing outside counsel in the coming months.